Presentation in cooperation with the Kunstverein Amsterdam as part of the Visiting Program for German Kunstvereine organized by Kunstvlaai for the Amsterdam Art | Weekend. 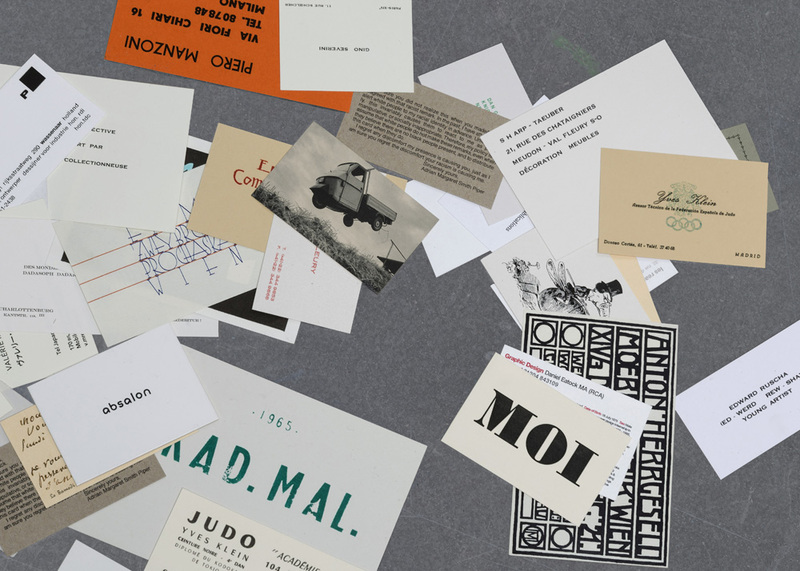 123 calling cards of artists (painters, sculptors, photographers, architects, graphic designers, illustrators etc.) from the 18th century to the present day have been facsimiled and inserted into the amazing book Oracles by Pierre Leguillon. Slipped like bookmarks into a book by over 70 authors—one of them is Carrie Pilto—it follows the history of the use of calling cards, the social context in which they were produced, and related historical narratives. Pierre Leguillon and Carrie Pilto will present the book and give a talk on the calling cards which lay the foundations for a microhistory of social networks formed before the advent of Facebook. Pierre Leguillon is an artist and lives in Brussels. Carrie Pilto is an independent curator and former director of the Musée Matisse du Le Cateau-Cambrésis, France. Kunstverein is a curatorial office in Amsterdam that offers presentations, lectures, screenings and independent publishing, directed by Maxine Kopsa. „Oracles. Artists’ Calling Cards“ is published in 2017 by Edition Patrick Frey.